Our HD service gives you an elevated sensory experience in High Definition with 5 times greater details, vibrant colours and multi-dimensional audio. Enjoy 20 HD channels with the Family Extra Pack or subscribe to HD Service to get the full suite of HD Channels according to your account subscription on top of the Family Extra Pack channels. Family Extra Pack consists of unique channels like KBS World HD, One HD, Food Network HD, Life Inspired HD, FOX HD, Hits HD, Nat Geo People HD, KIX HD, FXHD, Diva HD and lots more. 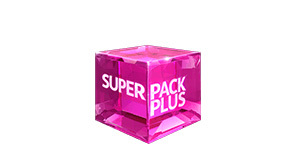 Introducing Super Pack Plus, an Astro package that gets you the best channels at the best value. All the best shows and so much more. 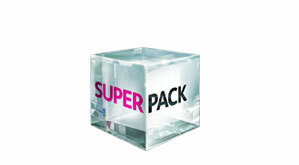 Super Pack has something for all. Take your pick from the best Malay dramas, Indian reality series, exciting TVB dramas or international sports with Astro Value Packs. 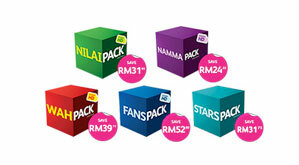 to Astro today via Shop! Do not have an Astro ID?